I didn't realize it was October until my landlord gently reminded me to pass her the rent check a couple of days ago, and then amidst my frantic searching for the checkbook (I moved in to my new apartment a month ago – things are still stacked haphazardly, as you may expect), it struck. How is it that there's only two months left to the end of the year? What a year (or ten months) it has been too. I feel like I developed grit this year, as in (almost literally) learning how to grit my teeth and expand my patience quotient, both in my personal and professional life. For now, I hope that by working hard and staying true to myself, one day I'll be able to put myself in better circumstances and surround myself with better people. In the meantime, I've found a gem that makes the everyday much more bearable. If you've ever been to a massage parlor, you'll know that they each have their own particular brand of massage oil. It's usually non-absorbent and dries down to a slight tackiness. As much as I enjoyed having the sore muscles and kinks rubbed out, I always left the table desperate for a shower. 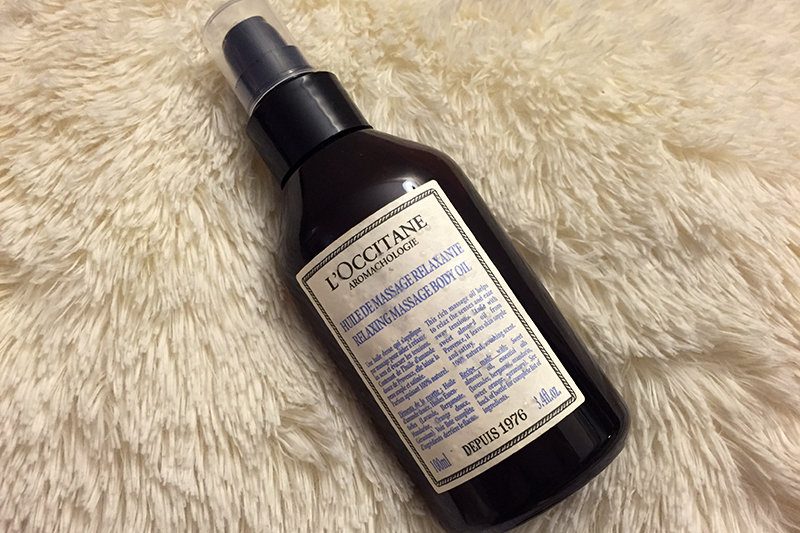 But not so with L'Occitane's Aromachologie Relaxing Massage Body Oil! I first used this to massage a muscle strain, and realized immediately that it's of a superior quality. Throughout the massage it remained fluid – I didn't feel like I had to keep adding oil to the skin – and was a pleasure to use. The rosemary and lavender essential oils also added a layer of relaxation to the entire experience. Finally – and this was the best part – when I was done, I didn't feel like I had to rid my hands of the oil. It just absorbed right into the skin! 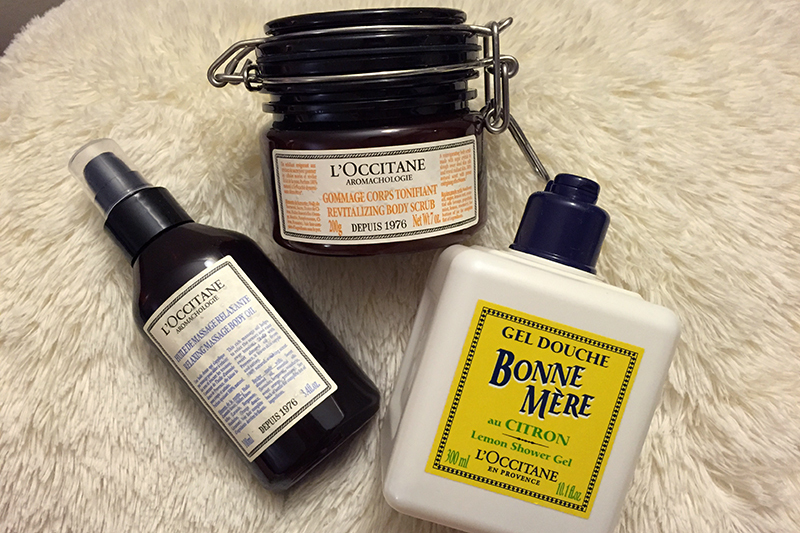 The Aromachologie collection is newly launched for fall and harkens back to L'Occitane's very first products. Personally, it's my favorite L'Occitane launch to date. The Relaxing Massage Body Oil retails for $34 and is available at usa.loccitane.com. Full disclosure: This entry contains sample products sent by the brand for editorial consideration. This entry also contains affiliate links.